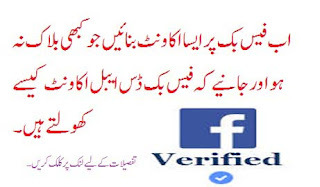 Facebook pe tricks and tips waale groups mein jis ko dekho facebook verified account bnane ka poochte rehte hein.Kuch log to aise bhi hein jo facebook verified accounts sale karte hein.In logo ne iss kaam ko business bana rakha hai.Ye aik account 50 rupees mein ya 100 rupees mein sell karte hein jo log bari khushi se buy karte hein.Facebook verified accounts sale karne waalo ne bohat se accounts bana ke apne paas save rakhe hote hein phir jub kisi ko buy karna ho uss ko email password diya jata hai aur raqam mobile balance ki soorat mein pay kar di jati hai. 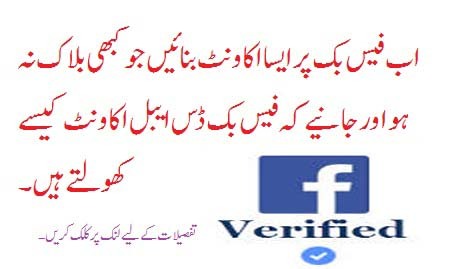 Haqeqat mein fb verified account wo hein jin ke sath blue tick ka icon bana hua hota hai kyo keh wo na to kabhi hack ho sakte hein aur na hi block ho sakte hein.Aise accounts facebook pe kuch special logo ke hi hein jo United State mein rehte hein.Ye wo log hein jo facebook ko chala rahe hein iss lye un ke account pe blue tick ka nishan laga hota hai. Aik simple facebook account hota hai jo hur koi create kar sakta hai lekin jub koi uss pe report karta hai to wo bohat juld block ho jata hai.Facebook aise accounts ko fake accounts manti hai aur aise account ke hack hone ka khatra bhi bohat zayada hota hai. Asian countries jese keh Pakistan,India,Bangladesh etc mein verfied account wo hai jis pe hum apna koi government id upload kare aur agar facebook uss ko accept kar le to hamara account kafi hud tuk safe ho jata hai.Ye account itni jaldi block nahi hote mera facebook account bhi issi tarah se hi banaya gaya hai jo mein pichle 4 saal se use kar raha hoo aur in 4 saalo mein ye sirf 1 baar block hua hai jis ko me ne easily recover kar lia tha. Iss post mein me ussi account ko bnane ka method share karne ja raha hoo jis method se me ne apna khud ka account banaya hai aur issi method se sub apna facebook account secure karte hein.Iss post ko follow karne ke baad kisi bhi user ko facebook account buy karne ki zarorat nahi pare gi. 4.Iss method se aap apna mojooda account bhi verify kar sakte hein lekin uss mein risk ye hai keh uss ko aik baar block karna hai aur ho sakta hai baad mein government id accept na ho aur account zaya ho jaye. Ye post apne friends ke saath zaror share kare aur agar verified account bnane mein koi masla aa raha ho to comment kar ke details se apni problem bataye shukria. 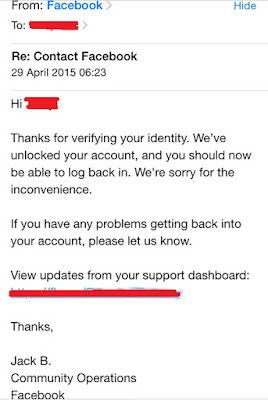 My brother's account has been temporarily locked and he successfully answers the security question and changes his password, yet every time he logs back in with his new password, his account is still locked. 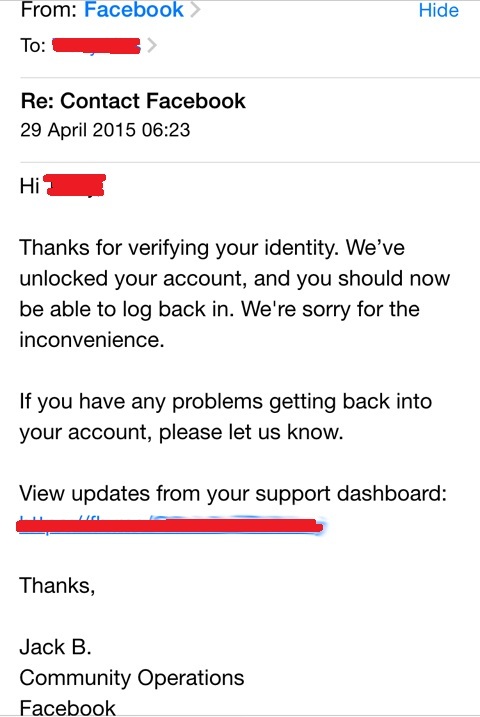 How does he go about unlocking his account? Any help would be much appreciated! Thanks. bhai agar fake proof bana na hoto . bhai fake proof banane ka trick me share nahi kr sakta bcz iss ke liye aap logo ko photoshop ka basic knowledge hona zarori hai lekin yaha buhat kum log hein jin ke paas pc hein aur wese bhi fake proof bohat kum accept hote hein. how this possible ? update the method. 1.- Bhai meri id diseble ho chuki h ab mere aadhar me onliy first name h or Date of birth me b onliy 1998 hai kya ye accept hojayega..
sirf front side ki bhejo aur upload kar do 70% chances hein keh theek ho jaye gi. Hello, I am from Tanzania. Thank you so much, form all posts individual this one. I like your website and all your post. Your posts are informative for us.